“Dancing has brought a lot of joy into my life, and it’s all because of this beautiful and amazing woman. Without Fiona I wouldn't have got these beautiful opportunities and I thank god for bringing her into my life.” - Lihle Mfene, dancer and student from Dreamscape South Africa. Last year, gishwhes, Random Acts, and Giles Duley were able to forever change the lives of three refugee families by raising over $200,000 in just a few days. Anybody who has seen these families' smiles will know what an incredible impact we had working together. This year, by supporting our Change-A-Life item, we get the chance to grant the wish of a dying woman, and in doing so, we will save the dreams of hundreds of children who live in some of the world's poorest conditions. But we need to act fast! Our change a life recipient this year was diagnosed with terminal cancer, and is in advanced stages and we want to grant her dying wish this week! She has no idea we are going to do this! We are going to surprise her with this colossal random act of kindness at the end of the Hunt! So if anyone reading this is a friend of hers, PLEASE don't tell her about this until AFTER the Hunt! But we do encourage everyone to share this message on social media to invite friends to donate. It seems like an unlikely story, an English woman running a ballet school in a South African township, but Fiona Sargeant is not a normal woman and the school she runs is not a normal ballet school. Zolani, a township in South Africa, is marked by extreme poverty and inequality. For children growing up there, the future holds little hope. But this school has done much more than teach ballet classes. Through ballet, Fiona has not just given the young students purpose, self-discipline and exercise, but through her selfless work, lives have been changed. Some of her former students are now dancing on scholarships in New York and London. 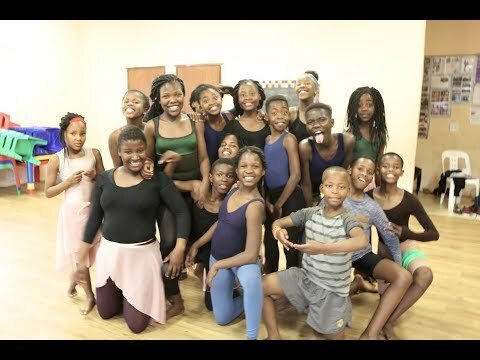 What Fiona has given the children of Zolani through her ballet school is hope. Fiona, once a professional ballet dancer, teaches these children classical and contemporary ballet 5 days a week. She provides them with meals after dance class, which may be the only food they have, and facilitates their homework. She drives them around in her small car, as there is no other transport available, organizes performances and fundraising events, and above all, she offers them the opportunity to go beyond ‘trying to survive’, to make them aware that dance can be their ticket out of poverty. Nobody could have given more to try and improve the lives of children living with such hardships. But in 2016, at the age of just 51, Fiona was diagnosed with cancer. In February of this year, Fiona received the devastating news that her cancer was inoperable. Fiona is an incredible woman, and she has come to peace with the fact that she has just weeks to live, but what breaks her heart is that without her super-human efforts, the school will close. Together, our plan is to raise enough money to keep Dancescape operating and helping children achieve their dreams long after Fiona is gone. So let's grant Fiona's last wish! Let's ensure that the school and her legacy will continue after she has gone. And in doing that, we can keep the dreams of all the children that go to the school alive. For this is more than a dance school – this is a place of hope.